What did you expect – it’s Papo, of course this looks great! Diggin’ that armour! Beautiful detail and a cool pose, too. Colors are the usual Papo earth tones. It’s about 7″ long if you could straighten out the tail. 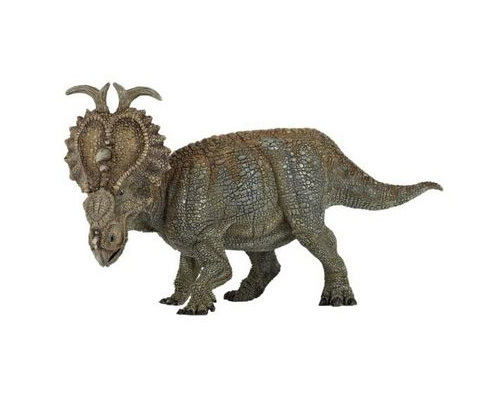 Tags: collectibles, pachyrhinosaurus, figure, Model, Papo.